Indiana Convention Center, Indianapolis, IN. Booth number: 3430 + 3328. 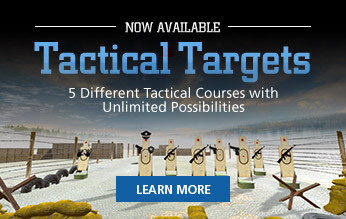 Realistic training with no range cost! A high-end Airsoft with best-in-class laser cartridges, is the perfect combination for realistic training at home, the office or department at the fraction of the cost. No need to rack the slide after each shot and the blow back is included. Perfect for home defense and tactical training. 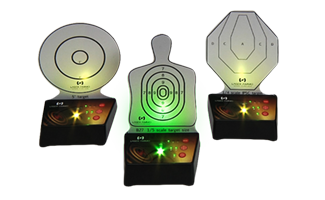 The most advanced electronic target on the market– The Interactive Multi Target Training System (i-M.T.T.S.) lets you simulate different training drills anywhere. Set up an interactive range in your living room or even in the office! Come visit us at any show, wearing this high end athletic cut shirt, and get our training cards (MSRP: $14.95) for free! 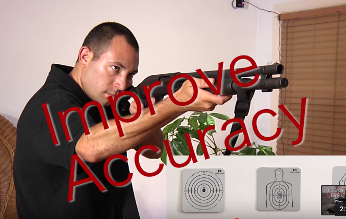 Use your semi auto pistol and AR-15 rifle - 4 calibers in one training system, with a bore-sighter as a bonus! As professionals we know you need to train with what you use and carry. 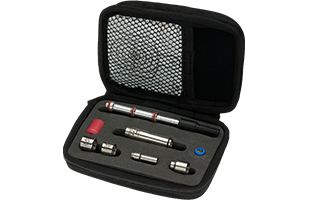 The SureStrike™ Ultimate LE Edition kit contains the 4 most popular calibers in one compact training kit. Our affordable laser training system allows you to train with your AR-15 and carry pistol. With the cost of ammo and long duty shifts getting in the way of range time, our kit allows you to set up a dry fire range practically anywhere. 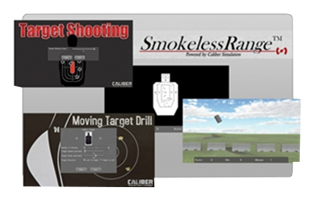 The first affordable judgmental and marksmanship shooting simulator - the Smokeless Range® for practicing with your own firearm or Airsoft at your convenience at home. Practice Fast Draw, IPSIC, IPDA, home defense or hunting skills with your favorite pistol, shot gun or rifle. Use red or IR SureStrike™ or any of our Laser AirSoft solutions like the LA FLASH or the Recoil Enabled AirSoft Laser (R.E.A.L) Conversion Kit, with the provided 10 different shooting scenarios. You can also download any of the thousands free flash shooting games from the internet! 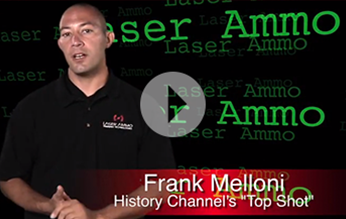 Copyright © 2019 Laser Ammo USA, Inc. • All Rights Reserved.